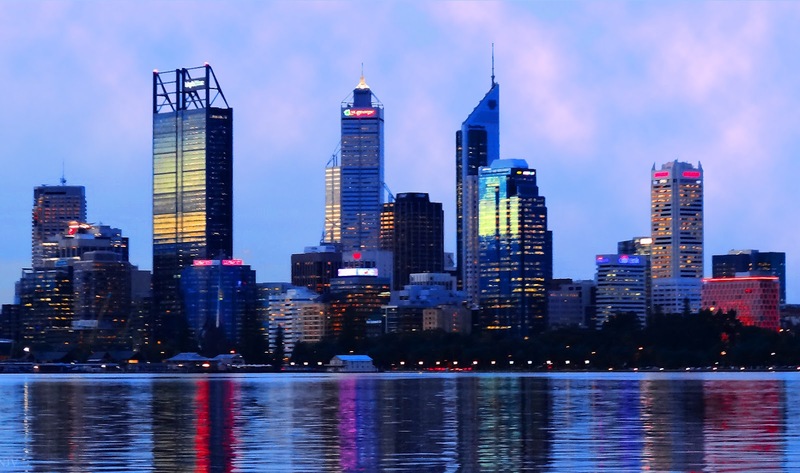 Perth is the capital and largest city of the Australian state of Western Australia. It is the fourth most populous city in Australia, with an estimated population of 1.74 million living in the Perth metropolitan area. Part of the South West Land Division of Western Australia, the majority of the metropolitan area of Perth is located on the Swan Coastal Plain, a narrow strip between the Indian Ocean and the Darling Scarp, a low coastal escarpment. The first areas settled were on the Swan River, with the city's central business district and port (Fremantle) both still located on the river. Perth's metropolitan area is formally divided into a number of local government areas, which themselves consist of a large number of suburbs, extending from Two Rocks in the north to Rockingham in the south, and east inland to The Lakes. What a vibrant photo. I haven't ever visited Perth and your blog makes it look so temptingly beautiful. That's a stunning sky photo. I love the reflections in the water, too.